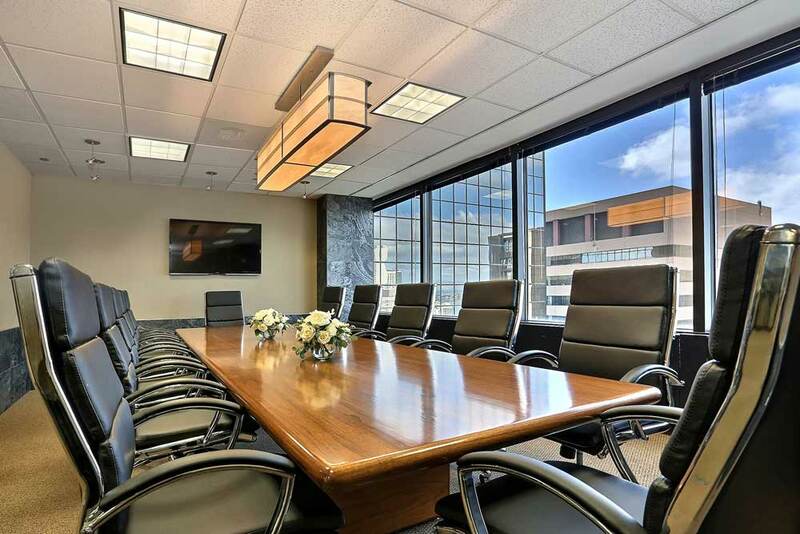 Viridis Design Studio transformed this downtown Denver office boardroom into a space for intelligent conversation and collaboration. Grey Ostrich Slate Columns and Wainscotting surround the boardroom walls. A custom Light fixture hangs centered above new Leather armchairs and the original table. What Is the Difference Between Commercial Interior Design and Residential Interior Design? Commercial interior design connects the physical environment to business strategy. It bridges the gap between a business’ higher-level goals and how a space supports achieving those goals visually. On the other hand, residential interior design deals with and how people relate to their immediate home environments. Viridis Design Studio contributes to every phase of each client’s project to make sure the final results exceed design expectations and also create a safe environment for everyone who may use or occupy the space. We may establish the other members of the project team, such as the general contractor, architect, acoustics, art selection, etc. When Should You Bring In An Interior Designer? If you are considering hiring an interior designer for a commercial design project, the best time to bring one in is at the beginning of the project. An interior designer’s knowledge of environment and behavior can influence the space planning to create greater revenue and more financially successful results. The interior designer needs to work closely with the client to understand their business needs and to interpret the use of the space by key stakeholders. The beginning phases of the building planning provide a platform for the interior designer to become a strategic consultant connecting the business’ core values, mission, and work processes to an intelligent workplace. View our photo gallery to view a sample of our commercial interior design work. To request a project consultation and fee estimate, call us at (303) 489-9958, or submit an inquiry through our online form.